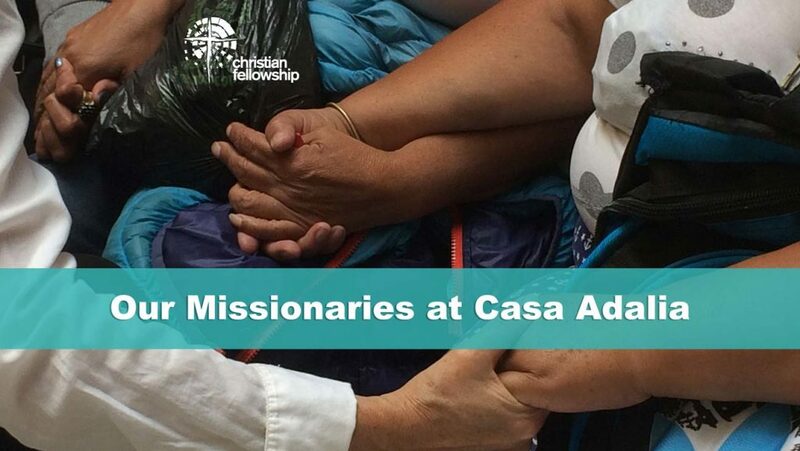 A story of what God is doing from our missionaries at Casa Adalia in Ecuador. Adalia in Hebrew means God is my refuge. Indeed He is. Casa Adalia seeks to be and has been a wondrous, not perfect, but definitely beautiful refuge to the young women and their children who have stepped through its open doors, seeking and finding hope and freedom and safety. A few weeks ago I began to see a positive change in the mom’s response to my communication. I invited her for a supervised visit. Yesterday, the mom, two of her other children, a ten year-old niece and a one year old granddaughter arrived after an eight hour bus ride. The mom shared with me through tears and gratitude the miracle story of her encounter with Jesus Christ. A Christian friend had reached out to her, encouraged her in truth, and then invited her to church. At church, she was overwhelmed with her desperate need and fell on her knees, not caring what others might think of her. She cried aloud to God for mercy, and He heard her. He wiped away her tears and shame and has freed her to believe in His hope and love. We are incredibly thankful for our home church that supports us and those we ministry to through prayer. We are so grateful for your love. Please pray with us for “M” and her family who daily struggle to make ends meet. Pray that the legal process would bring justice and safety so that her young daughter can return home. Pray for God to continue the miracle of transformation and healing in the entire family. That when “K” returns home, she will be different, and so will her family. Strong. Whole. Healed. Please pray for our team for energy, for health, for supernatural wisdom, and humility. Pray that we would be so full of Jesus and His beautiful presence and power, that the weight of the ministry would be as soft as the waves on a peaceful shore. Please pray for healing for the young women and children to whom we minister. If you would like to receive the Douce’s monthly updates and prayer requests, please let them know by sending them a quick email.